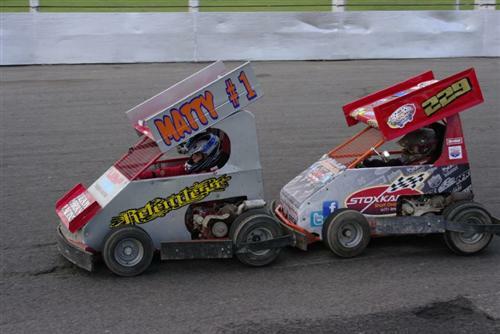 The smallest machines running on the UK ovals in the 21st century but by no means the least spectacular, Stoxkarts are just as they sound â€“ karts with stock car bodyshells and bumpers. These little machines may look slightly unorthodox, but the race action they provide can rival any big Stock Car or Hot Rod formula, with bumpers clashing together and cars spinning and sliding everywhere in a hugely entertaining spectacle. 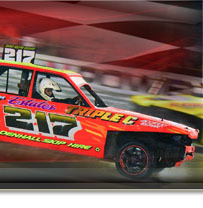 The Stoxkarts are one of the most cost-effective formulas available on the ovals and have become a popular fixture of the I Factor Fast and the Furious series at Birmingham Wheels. The Junior series is an ideal entry formula for budding oval stars of the future for racers aged 12-16.